Thanks to a highly specialized team, K-TRONIC has achieved success realizing every type of keyboard the market requires, with particular attention to their strength and tightness to liquids and powders. 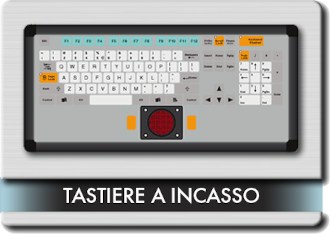 K-TRONIC manages the design, engineering and manufacturing of industrial keyboards, membrane keypads, front panels, operator terminals and mice of the highest customized standards for applications in the civil, industrial, railway, marine, medical, and military industries. 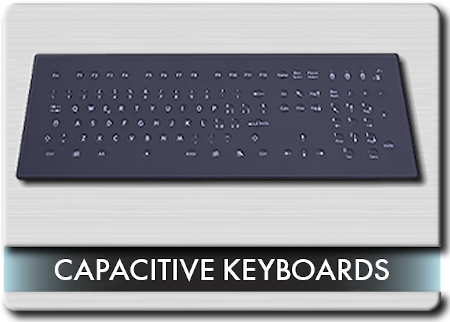 Membrane keyboards (in silkscreen reverse-printed polyester, inserted in an aluminum frame) protect the keyboard's edges and facilitate assembly. The user must only make a small cut on the support surface. The keyboard edge will completely cover any irregularities. The keyboard is waterproof and easily installed with the included installation kit. 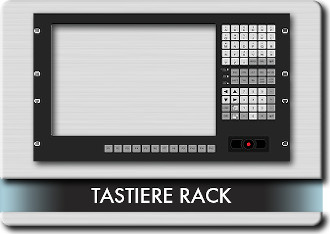 Polyester membrane keyboards built with different layouts suitable for assembly in rack cabinets of 19'' width and 2-12 units height. Protects IP65 on the front panel, when properly installed. The range consists of different pointer systems (touchpad, trackball, joystick mini) and several monitors (12'', 15'', 17''). Back panel (cut surface edges must be aesthetically perfect as keyboard will be fixed by brackets (keyboards are equipped with threaded inserts for attachment by screws). 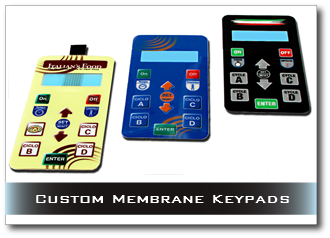 Membrane keyboards in polyester (with mechanical keys, metallic dome on rigid printed circuit) inserted in cases (ABS/PVC/ALUMINUM). 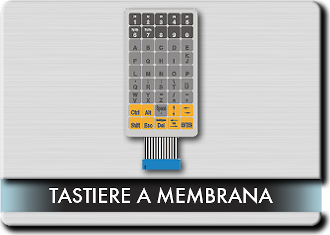 Especially resistant and hermetic (IP 65°), they can be applied to a working table or attached with 4 back inserts, to either a vertical or inclined surface. 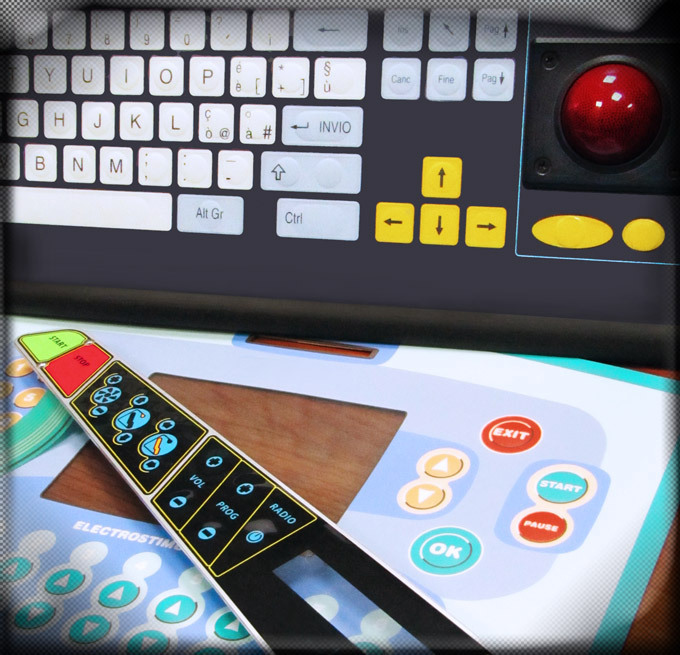 Different pointing systems are available, with touchpad or silicon rubber (trackball on demand). 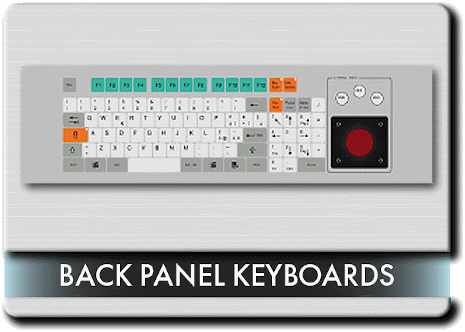 Membrane keyboard in reverse-printed polyester with different layouts, inserted in 19'' drawer rack 19'' (1HE/19''). The drawer has telescopic guiding slides for extraction. It can be installed straight or inclined with drawer lock key. Different pointing systems are available. 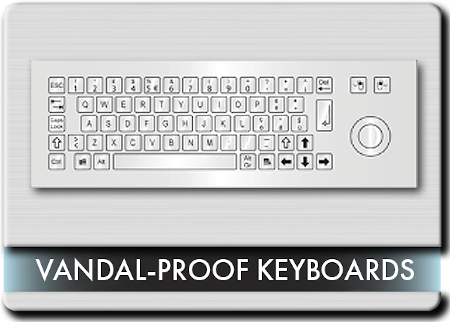 Stainless steel keyboards with high resistance to vandalism, bad weather conditions, penetration of liquids and powders. These keyboard are characterized by greater strength and can be connected to a personal computer. Keys are ABS with laser-printed symbols. IP 44 protection level can be increased by adding a silicon membrane to protects the upper part of the keyboard. Embedded, desktop and drawer versions are all available. In certain services, the traditional touchscreen might be restrictive. 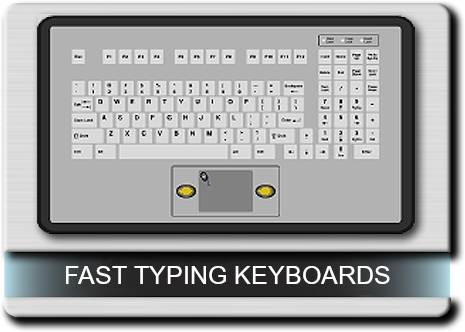 K-TRONIC has developed a sturdy keyboard that stands up to frequent public while at the same time, retains a natural typing feel. The keys are ABS, with a border guards that prevent extraction. Furthermore, metallic end stroke protection prevents damage due to excessive pressure. 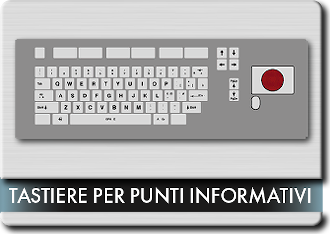 Versions with and without trackball are available. 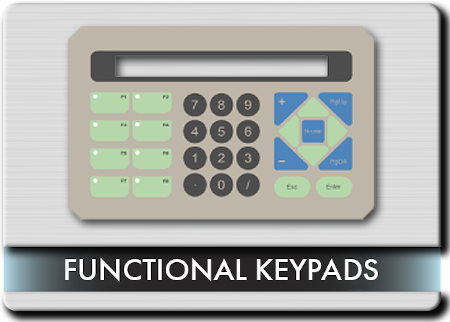 These keypads have been created in order to allow the Interaction through the exclusive use of function keys. 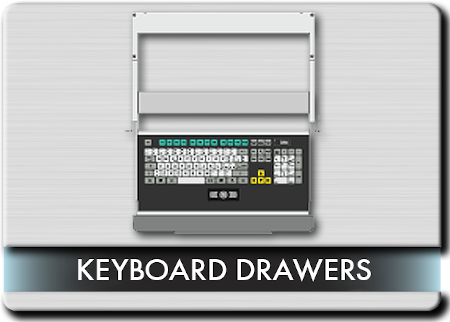 These keyboards can be used in all industries with unique visibility conditions; such as aerospace, automotive, appliance, medical, marine, railway, etc. 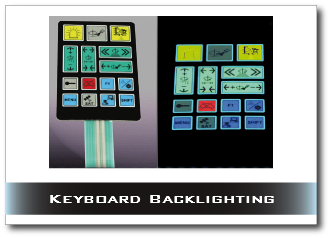 On demand, it is possible to backlight the wording and/or individual keys, as well as choose between a general switch for all the keys or individual switches for each. 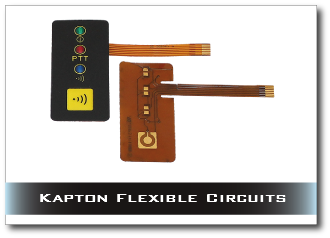 K-TRONIC produces, especially for military section, flexible keyboards on Kapton support with gold contacts on the keys and zif connector. 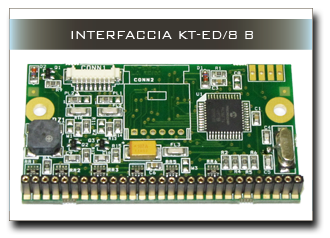 This technology allows the creation of highly miniaturized keyboards in the connector area. 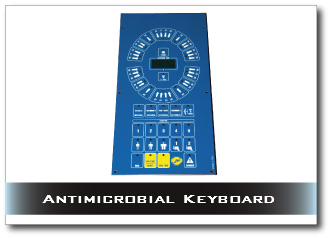 The particular anti-microbial treatment adds to the keyboards a protection that allows the self-inhibition of bacteria. 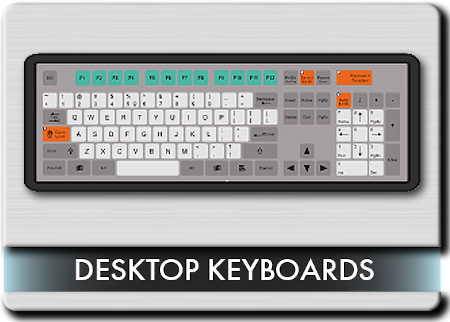 The keyboards can be supplied in conductive, silicone rubber (with or without inserts), to be used in conjunction with rigid printed circuit boards or on the polyester membrane. The silicone rubber is one of the most stable elastomers, with excellent resistance to temperature and aging; it doesn?t deform with compression and it is chemically inert and is immune to corrosion and decay. It also has excellent resistance to alkalis, oils and acids. The silicone rubber is an electronically insulating material that, by the addition of conductive carbon particles, becomes conductive. Directions: K-tronic S.R.L. Production and Sales of Industrial membrane keyboards.